William Newns, the second son of George and Mary, was born in Crudgington, Shropshire on 15 December 1850 and was christened in High Ercall on 11 January 1851. He is said to have started work at the age of 4, when he was stood on a chair to brush a horse. It is believed that he had relatives who lived just outside Shrewsbury gaol. In 1861 he was living-in as a servant to the Hoopers on their farm in Kinnersley. He joined the Primitive Methodists at a camp-meeting held by the Rev T Bramall on 31 July 1864 and became an active worker. In 1866 he began training for the ministry, and in 1868 he was at Preston Brockhurst. The 1871 census shows him as a blacksmith and local preacher, living in Preston Brockhurst with his uncle, John Evans, a blacksmith. In 1874 he was recommended as a minister by his home circuit, the Hadnall Circuit, and his first posting was to Chippenham. 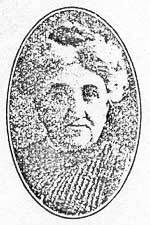 Louisa Duck, daughter of a police Sergeant, Matthias, and his wife Ann, was born in Wootton Bassett on 25 August 1850. In 1861 she was with her parents at the 'Castle & Ball' in Wootton Bassett, where her father was by then the innkeeper and baker. In 1871 she was staying as housekeeper with her uncles, Nathan and Abraham Duck who were bakers in Stockley. In 1881 William, Louisa, and their son William were living at 2 Bassett Street, Camborne, Cornwall, where Henry would later be born. In 1891 the family were living at 3 Rawlinson Terrace, Tredegar, Monmouthshire. In 1901 William was living at 22 Beech Lane, Macclesfield, Cheshire with Louisa and their children except for Henry, who was a grocer's assistant boarding at 26 Park Avenue, Oswestry, Shropshire. While at Rhos-y-medre William refused to pay the local rate as this included a contribution towards education in Church of England/Wales school and he felt this discriminated against non-conformists. He was taken to court at Ruabon and convicted, but much against his will, his fine was paid by 'a well wisher' and so he could not make his point by being imprisoned in protest. An interesting article about William appeared in the Aldersgate Magazine between 1910 and 1913, while he was at Halifax. In the late 1920s William and Louisa lived with their married daughter, Louisa, and her husband Frank Jesse White. In 1928 they were at 373 Station Road, Yardley, Birmingham, which is where William died on the 11th of January 1929 aged 78. Shortly after this they moved to 43 Wheelwright Lane, Erdington, where Louisa died on 8 December 1930, aged 80, leaving a will. During the First World War William served as a teacher on board a ship and spent a lot of time in the Iceland / Greenland area. Later he taught at Colwyn Bay Grammar School, and was active in the local community, being the church organist and running the Colwyn Bay Operatic Society. He died in 1941. Dilys married Alick Jones in 1938 and initially lived in Claygate, Surrey, and later in Colwyn Bay. They had two children, Nigel and Terrence. Henry became a grocer and married Mary Ellen Scott. 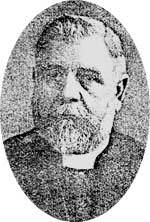 Samuel became a teacher and organist and emigrated to South Africa where he married. He and his wife came to London for a period to study at the Guildhall School of Music. His wife was killed in a railway accident and he is thought to have re-married. Louisa is believed to have worked for the League of Nations in its founding days just after the First World War (ca.1921). She was said to be a good pianist and soprano. She met her future husband, (Frank) Jesse White, in Newark. He was purchasing officer for a firm manufacturing railway wagons and carriages and had a breakdown precipitated by the pressure of trying to keep supplies going during the General Strike of 1925. They married in 1926 (registered in Conway). He is believed to have been a President of the Institute of Purchasing and also to have worked for a glass manufacturer. It is believed that they lived in Nottingham for a while but they had certainly moved to Birmingham by 1928, when they were recorded living at 373 Station Road, Yardley, and had Louisa’s parents living with them. A couple of years later they moved to 43 Wheelwright Lane, Erdington. They then disappeared from Kelly’s directory for Birmingham for two years until reappearing in the 1934 edition living at 11 Southbourne Avenue, Ward End. They seem to have moved away from Birmingham in about 1935. In later life they lived at 3 Hall Road West, Blundell Sands, Crosby (1966 Kelly’s Directory). Jesse died in 1980 and Louisa died of a cerebral haemorhage at the Park House Nursing Home, Waterloo, Liverpool on 18 May 1983. No known children.